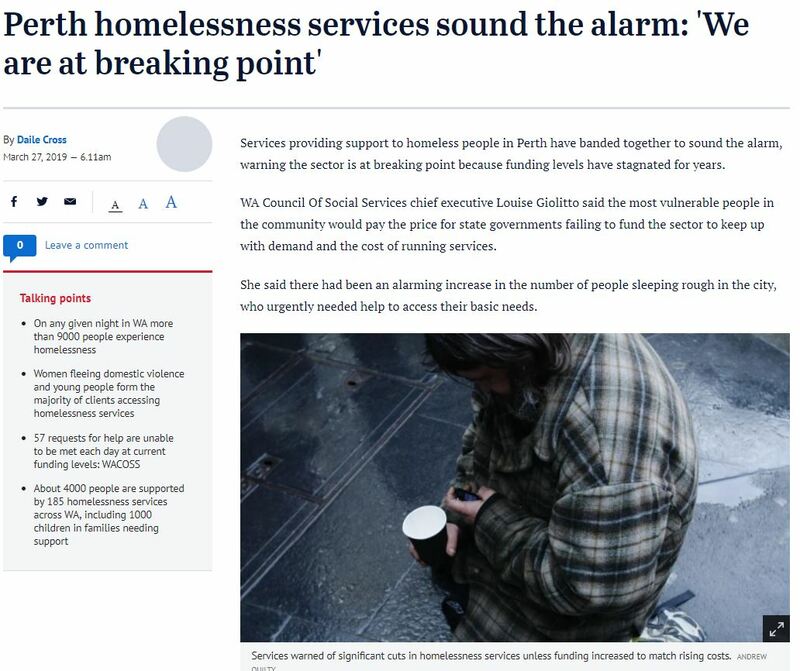 The number of people experiencing homelessness in Western Australia is set to soar unless additional, long-term State Government funding is secured, the community services sector is warning. Contracts for many service providers in the community services sector funded by the State Government have been extended year-to-year, since 2013 without any increase in funding to accommodate changes in legislation,” said Ms Giolitto. Services are facing their eighth short term extension in June 2019, and while the legislated award for employee costs have increased by up to 45 per cent, funding has remained the same. It’s simply unsustainable. Last year, after a series of public consultations, a parliamentary Joint Select Committee recommended that a law be passed to enable voluntary assisted dying in Western Australia. The Panel will consult over a two month period from now until 24 May 2019, to seek the views of members of the public and health professionals on this important question – not, it should be understood, about whether there should be such a law, but on what form the law should take, to ensure that it is compassionate, contains strong safeguards against it being misused, and as far as possible reflects the needs and wishes of Western Australians. Consultation forums will be held in Perth metro area, Kalgoorlie, Geraldton, Broome and Bunbury in April and May 2019. The Let’s Talk Culture free seminar series on Thursday 4 April aims to assist professionals to work in a culturally responsive way with clients from culturally and linguistically diverse backgrounds, especially in mental health. This seminar will focus on ageing issues relating to migrants and refugees. Join the event to hear a variety of perspectives from a consumer, a community leader and service providers on issues relating to ageing and mental health in CaLD communities. The program has been developed specifically for the leaders in the community services sector, to ensure our leaders are able to implement change and strategy effectively, and have the skills and knowledge required to continue delivering outcomes and goals while ensuring continuous growth and adaptability to changes that the sector experiences. The program is delivered in partnership with MODAL to create stronger teams and more resilient organisations by providing leaders with the necessary skills to enable successful change. The next program commences in July 2019. Find out more, nominate yourself, or an emerging leader in your organisation. Advance to Zero is a national campaign being run by the Australian Alliance to End Homelessness, and aims to end homelessness in Australia by 2025, starting with rough sleeping. To do this, Australian communities are joining up with Built for Zero communities across the world in USA and Canada. Supported by Community Solutions US, Advance to Zero are committed to changing local systems to ensure that they focus on ending each person’s homelessness through improved stable housing, human service support, and by building inclusive communities. The AICD is pleased to launch partial not-for-profit (NFP) scholarships for WA directors and senior managers of NFP organisations. Applications are now open for 2019 partial NFP scholarships in WA. Applicants must complete the Short Course scholarship application and submit to the Australian Institute of Company Directors by 5pm, Monday 8 April 2019. Applicants must complete the Company Directors Course scholarship application and submit to the Australian Institute of Company Directors by 5pm, Monday 8 April 2019. For further information please email Sophie Newman at snewman@aicd.com.au or phone 08 9320 1726. The Emerging Issues Forum held annually, provides analysis to inform the service and strategic planning needs of the executives and Boards of community service providers into the future. This year we are pleased to welcome special guest presenters: Kellie Caught, Senior Advisor, Australian Council of Social Service, ACOSS; Emma Gibbens, Community Engagement and Activation Specialist, CGM Communications; David Gilchrist, Professor, University of Western Australia; and Chris Twomey, Research and Policy Development Leader, WACOSS. WACOSS and its networks are being asked to contribute anecdotes and feedback to the Supporting Communities Forum (SCF) Collaboration Working Group. Contributions of case studies that showcase examples of successful and/or challenging collaboration within the community sector, government and inter-sectorial projects or programs are welcomed. In providing examples or case studies, there is a lot of good collaboration happening, in spite of the challenges, so this is an opportunity to showcase what is working well while also highlighting any ongoing barriers in a way that emphasises community leadership and exceptional participation within the public service. The template can be returned to Ashlee Wells, ashlee.wells@health.wa.gov.au, by Friday 19 April 2019. In addition, FaCS is currently undertaking a practice review of community services procurement on behalf of the SCF Procurement Reform Working Group. Examples of strengths-based approaches in procurement practices and examples of good procurement practices. It may not be the whole process that appeared successful. 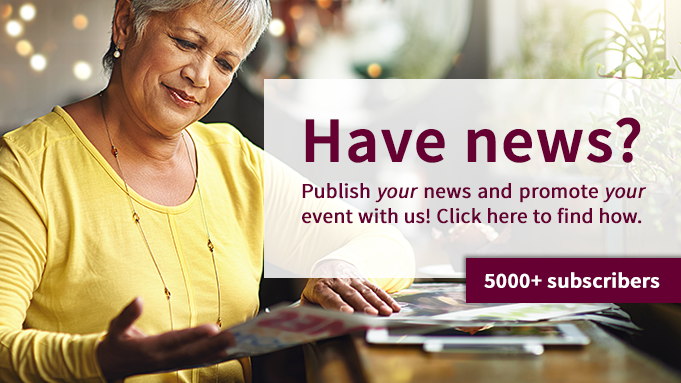 Responses can be returned to jane.azzopardi@finance.wa.gov.au, by Thursday 28 March 2019. Child Wise will be delivering the Creating Child Safety Champions training on Monday 20 and Tuesday 21 May at Tompkins on Swan. This comprehensive training program is recommended for Child Safety Officers and other professionals that have a responsibility to lead the implementation of a child safe environment for children and young people. Young people in Hedland have been involved in producing a new community awareness campaign to raise awareness of the negative impact of youth alcohol consumption. The ads, which acknowledge WACOSS Member organisation in the Pilbara, Bloodwood Tree, will be broadcast locally on GWN7. “Imagine a trickle of water source emerging, high up in a beautiful mountain, commencing its journey as a fresh water stream. Taking the path of least resistance, growing, gaining strength, carving a path of invincibility on its way to a marriage with a sea or ocean.” On Wednesday 29 May, in celebrating Men’s Health Week, Jason Nelson (former defence force and police officer) will share his journey of living with PTSD, depression and anxiety. Jason has sought further education in mental health and now uses his lived experience to share his passion; motivate and encourage. Legal Aid WA has launched the Senior Rights and Advocacy Service as a specialist legal service in the Civil Law Division. The Seniors Rights and Advocacy Service provides free legal advice and assistance to older people who have experienced elder abuse or who are at risk of experiencing elder abuse, as well as a range of services to assist elders seek assistance in tackling elder abuse. Registration for 2019 is now open for the annual Vinnies CEO Sleepout. In June, leaders in business, community and government will sleep without shelter on one of the longest nights of the year to help change the lives of Australians experiencing homelessness. 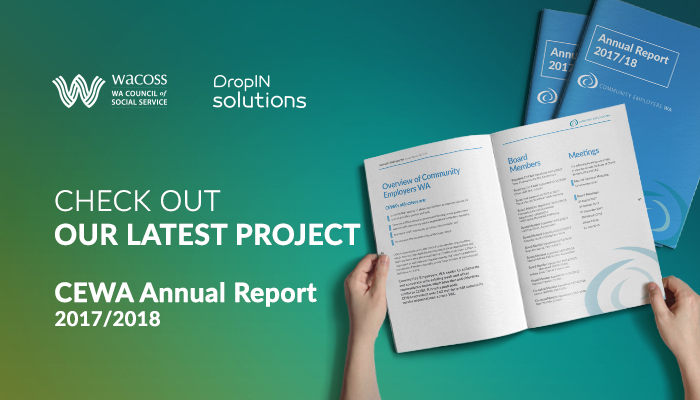 In 2018, a record 6.9 million dollars was raised to help break the cycle of homelessness and poverty in Australia. Nominate someone today. Mission Australia has been selected as a partner in the community working with the NDIA to provide a new way of delivering disability support in Perth. The system allows Australians to determine their best interests and have choice and control over their lives ensuring support for about 460,000 Australians who have a permanent and significant disability. Local Area Coordinators are currently being recruited across the three sites. WACOSS has been working in partnership with the Department of Premier and Cabinet, and with support from the Department of Finance, on a whole-of-sector Outcomes Measurement Framework. The aim of the Framework is to create scaffolding that assists in linking outcomes across different agencies and programs, and in particular to address some of the siloes in service delivery that have been evident across program, agency and departmental levels, in turn generating better service delivery outcomes for the community. This workshop is part of the second round of engagement and consultation with the sector. The first round focussed on feedback of the domains and the population-level outcome statements. The second round will focus on the sub-outcomes within domains, and mapping appropriate population-level indicators. Please note this session requires an understanding of the information in the first round engagement sessions which ran between November 2018 and March 2019. If you did not attend one of these sessions, please tick yes to attending the one-hour briefing session starting at 9.30am. If you did attend one of the first-round sessions, you do not need to attend the introductory briefing in this workshop. This week, CREATE Foundation launched their report Out-of-Home Care in Australia: Children and Young People’s Views After 5 Years of National Standards. The survey found that children and young people clearly indicated it was important to them to have a say about decisions affecting their care experience, particularly concerning their daily activities, where they lived, and their contact with family members. The Department of Communities has announced a pilot of the State Government's Respectful Relationships Teaching Support Program. The pilot will take place in 10 schools as a key primary prevention initiative to address Western Australia's high rates of family and domestic violence. The program announcement came just days after the trolling and sexual abuse targeting AFLW player Tayla Harris. "This program is aimed at sparking generational change to break the cycle of violence and stopping violence before it occurs," said the Hon. Simone McGurk, Minister for Prevention of Family and Domestic Violence. The position paper and longer discussion paper, Working Together to Ensure Equality for Aboriginal and Torres Strait Islander Children in the Early Years, highlight key issues that impact on Aboriginal and Torres Strait Islander children in the early years, and makes recommendations to government and policy makers on critical actions to progress equality. The results for the 2018 Australian Development Census (AEDC) were released on Friday 22 March, and are available to read and download. The Always Be You resources have been developed in a respectful space where culture is acknowledged, considered and celebrated, and can be used by everyone in Australia in any learning community or context. Whether you are an individual Be You user or part of a Be You learning community, use these resources to consider and find your own opportunities and ways to focus on mental health and wellbeing in your setting. Use these resources to develop an understanding of different cultural perspectives. Injury Matters’ Know Injury program has developed new resources to learn about what injuries are occurring in these regions, what population groups are affected and what actions can be taken to reduce the prevalence of injury in the Kimberley, South West and Wheatbelt.